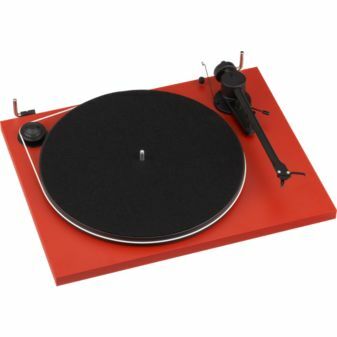 CB2’s (a Crate and Barrel spin off) recent catalog (see page 39) highlighted the Pro-Ject Essential USB Turntable. This delights me to no end. This is a great turntable for the budding audiophile. In addition it looks very cool. Bonus is that this is a USB turntable so you can rip vinyl or if you lack a real stereo you can play the LPs though your computer speakers. At 400 bucks this is not a crap discount store USB turntable (sorry ION), but a legitimate turntable that will rock your world and help you understand why music snobs like me prefer vinyl.